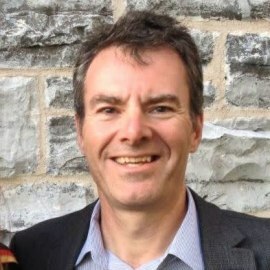 Sheldon attended the University of Saskatchewan (Bachelor of Science – Computational Science 1987) and began his career at Shell Canada Limited – with time spent at Shell International, London, U.K. Since then he has spent the last 30 years in a life-long learning adventure from punch-cards to applied artificial intelligence. During that time he has had to continually reinvent himself in various roles, employee and contract positions: HR support, Finance and HR Team Lead, Software Developer, ERP Implementation Consultant, Enterprise Architect and more recently Data Science Lead. Sheldon is passionate about many things; particularly the topic of data/information and all aspects of unlocking its’ potential to generate greater value. For recreation Sheldon runs about two Marathons a year and enjoys back-country canoeing. Having completed a bucket list run (Boston Marathon in 2015) he is now focused on running the remaining three (Berlin, Tokyo and London) to round out the Big 6.